We’ve all heard how dangerous, even deadly, these drugs can be. But have you heard of salvia divinorum? It’s an herb, but some call it the world’s most potent natural hallucinogen. The legal status of Salvia divinorum varies from country to country. It was not until the 1990s that this plant’s properties became widely known through the experiment and report of ethnobotanist and salvia advocate Daniel Siebert. Press accounts of efforts to ban Salvia often quote law enforcement and government officials who frequently characterize the drug as being similar to LSD or marijuana. Users of Salvia divinorum typically disagree with such comparisons and criticize these types of reports as sloppy or sensationalistic journalism. Unlike marijuana, Salvia has a nondescript appearance (being in the same genus as cooking sage, can be grown in a small space, has no odor and requires no elaborate lighting set-up. Before the late 1980s, not many people knew about the herb Salvia. The fact that the plant was not prohibited along with the rise of the Internet since the mid-1990s saw the growth of many businesses selling dried Salvia leaves, extracts and other preparations. Unlike marijuana, Salvia has a nondescript appearance (being in the same genus as cooking sage), can be grown in a small space, has no odor and requires no elaborate lighting set-up. For these reasons, criminalization is likely to affect only the commercial sale of the plant, and not its private cultivation, which would be very difficult to police. There are legislative controls of Salvia in one form or another in some countries including, Australia, Belgium, Denmark, Finland, Sweden, Italy, North Korea and some of the United States. Salvia is still legal in most states, including Utah. And it’s something most adults have never even heard of. So ABC 4 wanted to find out how easy it is to buy it right in our own backyard. Many wonder what could really be wrong with a natural herb that is actually a cousin of the sage plant. But some who smoke it say it can cause extreme visualization and hallucination, even intense laughter and meditational epiphanies. Police and officials say that it’s so important for parents to know what can happen when salvia falls into inexperienced or irresponsible hands. It is NOT a Marijuana alternative! The fact that you are saying it is shows how little you know about it. It is a sacred medicinal herb that was used by the Aztecs and Mayans for problem-solving and meditation. It is NOT to be used recreationally, and anyone who does will be severely disappointed. It reveals truths about a person that they cannot see in themselves. Diviner’s Sage, Salvia Divinorum, was unknown outside it’s native region in Mexico until 1962. Known there as ‘ska MarÃƒÂ­a Pastora’ (herb of Mary the Shepherdess), this sacramental herb is considered to be the incarnation of the Virgin Mary; it has been used as a healing and divining tool for centuries by Shaman, who still use it for ceremonial visions and/or to induce trance states. More than a dozen major news articles in the last few years have increased prejudice as well as demand for this herb by reporting that it packs a trip that can be even more intense than LSD. That may be, but the sensational articles are misleading. Any herbalist will tell you that many useful herbs produce undesireable effects at high doses, and Salvia, for most people, is no exception. The fact is that this ancient herb is not at all popular as a recreational substance, rather, it is used for exploring deep meditative states, spiritual realms, mysticism, the nature of consciousness and reality, and the possibilities of shamanistic healing. But even after about 40 years of scrutiny the herb seems harmless. Siebert says it has no lingering effects like a hangover, and no one, the DEA included, has heard of a person overdosing or experiencing long-term consequences. Toxicity studies have come up negative for even pure Salvinorin A, the active component. The consistent and non-toxic effect may benefit people with depression and anxiety. Low doses calm the mind, promote introspection and reframing of ideologies. This change of mindset may be advantageous because society and personal environment probably produced the anxiety and depression in the first place. In any event, people with faith and focus are known to respond better to stressors in their lives. A case study that highlights the anti-depressive property of Diviner’s Sage was published in the Journal of Clinical Psychopharmacology. It says in part that Ms. G was a depression patient with a HAM-D score of 19-21 (depressed) who claimed to have found relief from her symptoms of depression with use of the herb Salvia Divinorum sourced through a mail-order herbal supplier. A HAM-D score of 2 confirmed remission of her symptoms of depression at this time. Ms. G claims that she discovered its antidepressant effects accidentally after smoking the herb and had later developed a method of oral consumption which she claimed maintained its antidepressant effects even after she abstained from using it for up to a week. During this period she has continued to show a total remission of her symptoms of depression according to HAM-D scores in the range of 0-2 and has maintained this improvement for the last 6 months, showing no signs of relapse and reporting only minimal side effects, such as occasional lightheadedness for up to 1 hour after using the herb. Ms. G volunteered that she has also benefited from occasional intoxicating oral doses consisting of from 8-16 leaves of the herb (approximately 2 to 4 grams), claiming that this herb had engendered a kind of ‘psychospiritual’ awakening, characterized by the discovery of the depth of her sense of self, greater self-confidence, increased feelings of intuitive wisdom and ‘connectedness to nature.’ We may be dealing with a highly novel agent that has significant research and therapeutic potential in fields such as psychopharmacology, psychiatry and complementary disciplines such as herbal medicine. How effective has criminalization proved in protecting young people from dangerous drugs? Not very. In this case criminalization will only send commerce in Salvia underground and restrict young peoples’ access to accurate information on why, when, and how to ingest or not to ingest this plant. Education, not criminalization is the key to protecting young folks from useless, unsettling, or dangerous encounters with Salvia. Education is also the key to productive use of the plant by those few adults for whom it can be beneficial. THIS REPORT IS OLD, WHY WAS IT REPRINTED?! That right there is evidence of yellow journalism. You know what would make good news? 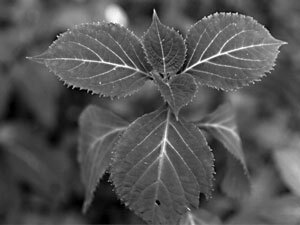 An objective report on the status of salvia divinorum. medical use of marijuana by Americans is spreading, Fourteen states and the District of Columbia allow patients to use marijuana—and in some states to grow it—for medical purposes. Shops legally sell medical pot in California, Colorado, and New Mexico. But federal prosecutors continue to target growers, distributors, and users even in states where medical marijuana is legal.